Delivery to Charlotte and surrounding areas. 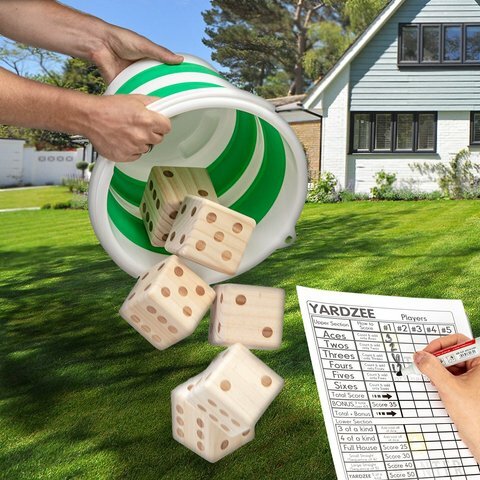 ALL-IN-ONE - All equipment included for Yardzee & Yardkle for up to 5 players. 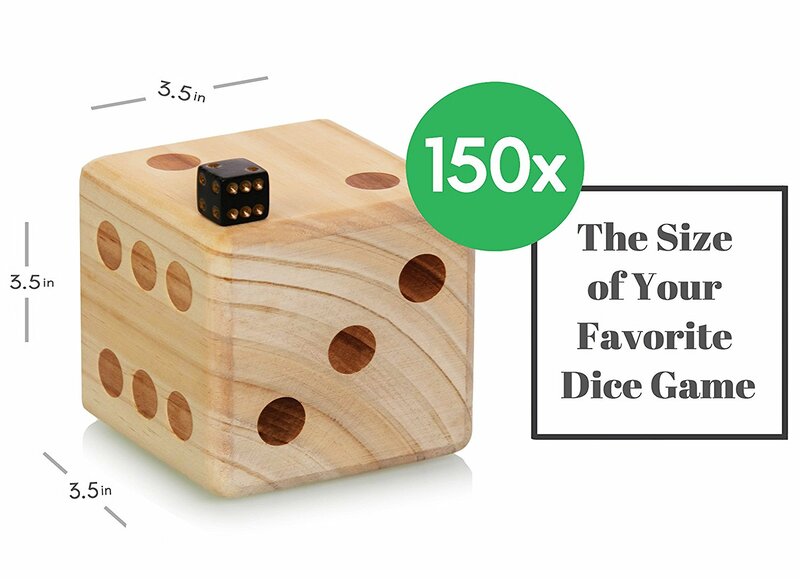 Includes 6 solid wood jumbo dice, large reusable score cards, bucket, & marker for a complete yard dice set. THROW THE DICE- Now you can really throw those dice with our collapsible bucket! Easy to carry to your next group outdoor event, wedding, bbq, or party. PREMIUM QUALITY - Dice are sustainably sourced from kiln dried New Zealand Pine. Guaranteed not to split, crack, twist or warp. And no more bags that rip and tear with our durable bucket. COLLAPSIBLE BUCKET - No more bags that rip and tear. Out collapsible bucket is built to withstand repeated use from both kids and adults. Copyright © Jumpin Jacks. All rights reserved. Copyright © . Jumpin Jacks. All rights reserved.